Why he's one of the greatest: At the age of 26, Boniek scored one of the most extraordinary World Cup hat tricks against Denmark in 1982, as he led Poland to the bronze medal. Zbigniew Boniek is hailed by many as the best Polish footballer of all time and remains high on the list of great Eastern European players. He made his name at Polish club Widzew Lodz and, following his outstanding performance in the 1982 World Cup, Boniek was recruited by Italian giants Juventus. He went on to win the Italian league, Italian Cup and European Cup Winners' Cup in his second season with the Turin outfit, as well as the European Cup a year later in the wake of the tragic Heysel disaster. Nicknamed "The Night Beauty" by the club's president for his success in evening matches, Boniek formed a lethal partnership with Italian Paolo Rossi and French legend Michel Platini. Boniek would go on to represent his country in over three World Cups, most notably in 1982. Breaking into the national team early, a 22-year-old Boniek impressed fans at the 1978 edition of the competition with his relentless pace and skill. Following a transfer to AS Roma in 1985, he rounded out his international career at the 1986 World Cup by scoring 24 goals in 80 matches for his country. Why he's one of the greatest: His 650 goals inspired Flamenco to four Brazilian titles, the 1981 Copa Libertadores, as well as the European Club Cup win over Liverpool the same year in Tokyo. Zico, the idol of superstar Ronaldo, was the youngest and smallest of three footballing brothers. Upon arrival at Brazilian side Flamenco, special diets, vitamins, and even anabolic steroids were used to provide the youngster with some mass. But it was his sharp mind for the game coupled with his patented free kicks that made him great. Zico was vaulted to stardom in his first appearance for Brazil, scoring against Uruguay with what became his patented free kick. Marred by injury and disagreements with the national team staff, Zico failed to impress at the 1978 and 1986 World Cups. At the 1982 edition of the tournament, the young Brazilian notched four goals as his side failed to reach the semifinal stage of the competition. With over 50 goals for Brazil, Zico was voted the World Player of the Year in 1983, prompting a move to Italian side Udinese. He later joined the Kashima Antlers, spearheading the success of the J-League following a brief stint as Brazil's Minister of Sports. Why he's one of the greatest: Led Italy to the 1994 World Cup final match after winning the European and World Footballer of the Year, and FIFA's Player of the Year award in 1993. Roberto Baggio has been the golden boy of Italian football since breaking into Serie A with Fiorentina in the mid-1980s. His record transfer from Fiorentina to Juventus in the wake of the 1990 World Cup in Italy incited three days of rioting in Florence. Baggio claimed two Italian League titles, first with Juventus in 1994-1995, and then with AC Milan the following season. 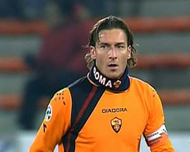 While playing with Brescia in 2004, the "Divine Ponytail" broke the 200 Serie A goal mark, scoring five more before season's end. Baggio then graced the fans with a final international appearance in a friendly match against Spain before hanging up his cleats. His international career will forever be scarred by the fateful penalty shootout miss against Brazil in the 1994 World Cup. But Italy would never have met Brazil in the final were it not for Baggio's performances against Nigeria in the second phase and Spain in the quarterfinals. Four years earlier, fans were stunned by his single-handed assault on the Czech team, beating defender after defender before slotting the ball home. With 27 goals over 55 caps, Baggio is widely recognized as a true football artist. Why he's one of the greatest: Peter Schmeichel's string of outstanding saves in the 1992 European Championship Final were crucial to Denmark's shocking triumph in the tournament. Peter Schmeichel's acrobatic goaltending made him one of Europe's most dominant keepers of the 1990s. He enjoyed his first success with his second club Brondby, claiming four Danish league titles over five seasons. Schmeichel, having almost been recruited by Newcastle in 1987, made his mark in English football with Manchester United. In his second season with the Red Devils, he claimed the first ever English Premiership title. Manchester United went on to win the league and FA Cup double the following season, repeating the feat in 1996. Over his eight seasons with United, his brilliant goaltending would play a crucial role in their five league championships, as well as their "treble" victory of 1999, as they added European Cup glory to their list of accomplishments. "The Great Dane" led Denmark by example, as his crucial saves against Holland's Marco van Basten in the semifinals and Germany in the final match helped Denmark earn their first European Championship trophy. Shockingly, Denmark hadn't even qualified but was invited to participate when Yugoslavia was ejected from the tournament. Capped 128 times for his country, Peter Schmeichel's loyal service to the art of goaltending has branded him as one of the best.